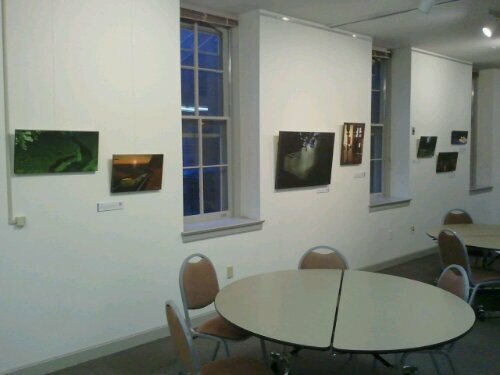 Parrot Gallery Exhibit is Live! 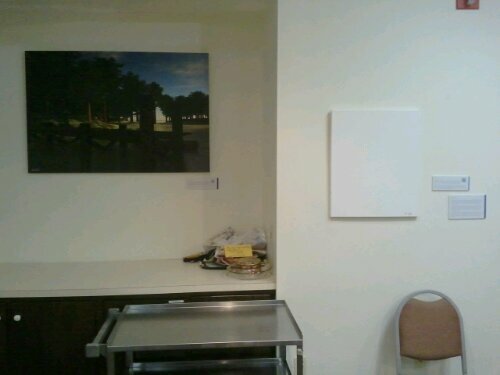 It was late September of 2011 when I made the arrangements, volunteering to show my artwork in the gallery. At the time I only had perhaps half a dozen images that I would consider good, but I made it my goal to have a minimum of twelve by this coming Friday. 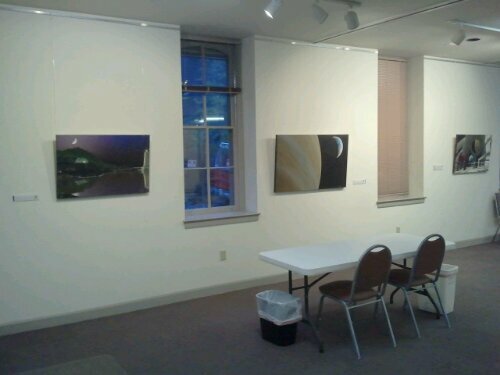 It’s been a long and sometimes stressful road, but my artwork — sixteen pieces in all — is now hanging on the gallery walls, waiting patiently for the opening this Friday. 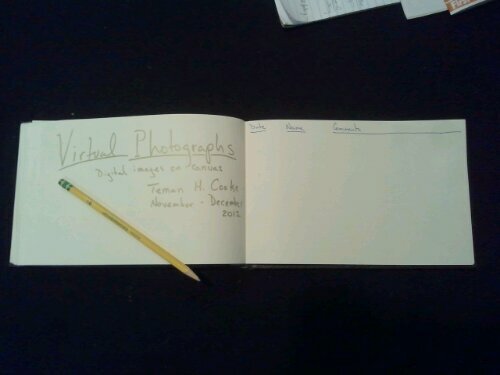 I’m very excited about it, even though there are several pieces that didn’t make it into the show. My goal had been to produce about six new images over ten months; I actually ended up completing about twenty. Three are in line to be rendered, but weren’t finished in time to be included in the show. Another six are part of another project I have in mind, and another will hopefully become the cover of the physics book I am writing. One, The Happiest Day of Her Life, was ordered but never arrived, and I haven’t been able to get a response from the company. Another, Homecoming, came back on time but the quality wasn’t good enough to show. The remaining nine are in the show. Even though I set my sights last year on producing all of this artwork, I’m not sure I could have honestly said that I believed it would happen, especially given how hectic the past few months have been. In addition, I was featured in the arts and living section of the local paper! 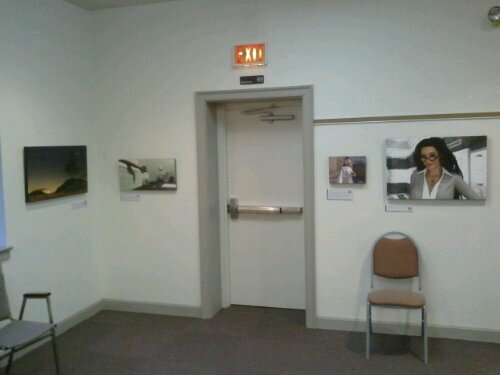 Suddenly it seems likely that my work will reach a larger audience than I could have expected, or even hoped for, when I originally asked to be included in the gallery’s rotation. If you happen to be in the Pennsylvania area, please drop by to see the exhibit; I’ll be at the Parrot Gallery this Friday (November 2nd) from 5PM to 9PM. There will be live music and warm cider. It looks awesome! I am so excited to see all those images together in the show … you did it! You are doing it, I should say.